Sotoudeh, who has represented opposition activists including women prosecuted for removing their mandatory headscarf, was arrested in June and charged with spying, spreading propaganda and insulting Iran's supreme leader, her lawyer said. She also was jailed in 2010 for spreading propaganda and conspiring to harm state security — charges she denied — and was released after serving half her six-year term. The European Parliament awarded her the Sakharov Prize for Freedom of Thought. Official sources are giving a different story. A judge at a revolutionary court in Tehran, Mohammad Moqiseh, said on Monday Sotoudeh had been sentenced to five years for assembling against national security and two years for insulting Supreme Leader Ayatollah Ali Khamenei, the official Islamic Republic News Agency reported. 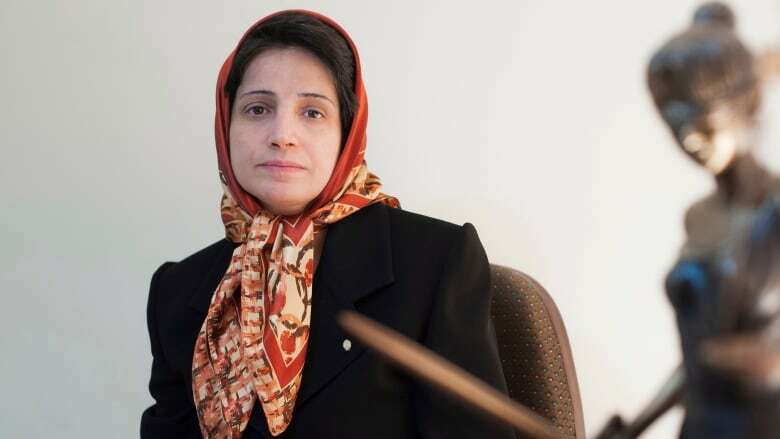 Sotoudeh's husband, Reza Khandan, wrote on Facebook that the sentence was decades in jail and 148 lashes, unusually harsh even for Iran, which cracks down hard on dissent and regularly imposes death sentences for some crimes. The news comes days after Iran appointed a new head of the judiciary — Ebrahim Raisi, a hardline cleric who is a protégé of Supreme Leader Ayatollah Khamenei. The appointment is seen as weakening the political influence of President Hassan Rouhani, a relative moderate. Iran, often accused of human rights abuse, said on Monday it had allowed UN Deputy High Commissioner for Human Rights Kate Gilmore to visit Iran last week at the head of a "technical mission." The visit, confirmed by a UN official, appeared to be the first in many years by UN human rights investigators who have been denied access by the government. The UN investigator on human rights in Iran, Javaid Rehman, raised Sotoudeh's case at the UN Human Rights Council in Geneva on Monday, saying that last week she "was reportedly convicted of charges relating to her work and could face a lengthy prison sentence." "Worrying patterns of intimidation, arrest, prosecution, and ill-treatment of human rights defenders, lawyers, and labour rights activists signal an increasingly severe state response," Rehman said.